Firstborns could be nearsighted, but are Mom and Dad to blame? According to a study published this month in the Journal of the American Medical Association Ophthalmology, firstborn children are 10 percent more likely to be nearsighted and 20 percent more likely to be severely myopic. The correlation between birth order and myopia shrank after the researchers adjusted data to take in account a person’s level of education, according to a National Public Radio article. This isn’t the only study to find firstborns more likely to be nearsighted. A study conducted at Cardiff University in Wales examined data on more than 90,000 adults in the UK Biobank study who had had an eye exam. Previously, researchers had hypothesized whether firstborns were more likely to be nearsighted because they can be born much smaller. This was incorrect. “In the current study we set out to test whether the link between birth order and myopia might have arisen because first-born individuals tend to spend slightly longer in full-time education than later-born individuals,” said Jeremy Guggenheim, the lead author of the study. Could having multiple children affect their eyesight? Guggenheim and other researchers compared families with just two children to the complete database to figure this out. The relationship between nearsightedness and firstborns or later siblings was pretty much the same, according to the NPR article. Other factors that could affect nearsightedness include higher income, education and less time spent outdoors. And of course, nearsighted parents have more of a chance at having nearsighted children. Nearsightedness can cause problems while the children are in school. However once corrected, unless a person is severely myopic, nearsightedness is no longer an issue. https://jodymyerseye.com/wp-content/uploads/2015/10/firstborns.png 113 194 Jody Myers https://jodymyerseye.com/wp-content/uploads/2015/08/jodymyers.png Jody Myers2015-10-28 14:08:412015-10-29 10:49:14Firstborns could be nearsighted, but are Mom and Dad to blame? Comanagement between ophthalmologists and optometrists is becoming more prevalent as the baby boomer generation needs more attention. These comanagement relationships usually allow the optometrist complete control of the preoperative and postoperative work including any or all IOL-related decisions. The surgeon simply performs the surgery. This process can come with its own set of serious consequences, and this is why ophthalmologists should make all final cataract surgery decisions, according to a new article from Ophthalmology Management. Ophthalmic Mutual Insurance Co., the nation’s largest insurer of ophthalmologists, “requires as a condition of coverage” a preprocedure meeting between surgeons and patients. Physicians have to provide their consent forms as evidence of that consultation, said Hans Bruhn of OMIC’s risk management department. “The handoffs from one provider to another are, in our opinion, a particularly vulnerable spot in care,” he said. The American Academy of Ophthalmology and the American Society of Cataract and Refractive Surgery released revised guidelines for comanagement last month. These guidelines state the operating ophthalmologist has full responsibility when it comes to pre-op and post-op care, “beginning with the determination of the need for surgery and ending twith the completion of the postoperative care,” according to th e OM article. Several factors, in particular the growing number of baby boomers and the advancement in technology drive the need for comanagement practices. According to the OM article, the U.S. Census Bureau projects one in five U.S. residents will be older than 65 by 2030. An increase in aging eyes means an increase in cataract surgery. Twenty-two million Americans are currently affect by age-related cataracts, according to a 2011 Mayo Clinic study. The study projects that number to increase to 30 million by 2020. This same study concluded more people are requiring second-eye surgery, which could translate to as many as 60 million Americans needing cataract surgery. However, it comes down to the relationship between the ophthalmologist and the optometrist. 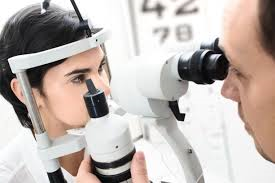 An optometrist who has been prescribing eyeglasses and performing routine exams might find a cataract and suggest surgery. After surgery, the patient more than likely will return to the optometrist’s practice. “It allows surgeons to do what they do best, and gives optometrists the ability to maintain relationships with their patients,” Dr. Quinn said. Construction on Florida Hospital Orlando’s Bartch Transplant House began on Oct. 15. Florida Hospital’s 21,000-square-foot facility provides a home-away-from-home for families of transplant patients and is expected to open by summer 2016. The new structure, which sits on Lake Winyah, will feature three stories, 24 rooms, a porch, kitchen, laundry facility and common areas. Renderings of the exterior and interior can be found on the Florida Hospital website. These health care projects help create a well-rounded health care community in Central Florida, while also promoting the quality of our community and the new job opportunities. Patients suffering with psoriasis could be at a higher risk of developing retinal vein occlusion, according to a new study done by the Taiwan National Health Insurance Research Database. Retinal vein occlusion occurs when the small veins that carry blood away from the retina become blocked. Most retinal vein occlusion is caused by atherosclerosis, or hardening of the arteries, or blood clots, according to the U.S. National Library of Medicine. Retinal vein occlusion more often affects older people as the risk increases with age. The study evaluated the risk and incidence of developing RVO in 30,198 psoriasis patients compared to 30,198 control subjects. The RVO incidence was 1.46 times higher in psoriasis patients versus non-psoriasis patients, according to a Healio article. The RVO incidence was much higher, 1.97, in psoriasis patients 65 years or older versus people without psoriasis. Women with psoriasis had a RVO incidence of 1.82 times higher than women without psoriasis. With the changing of the seasons and temperatures, two eye health problems are common. Dry eyes and inflamed eyes can be caused because of cold, dry outdoor air or dry indoor heat, among other things, according to an article by Best Health. Learn how to prevent and treat two common winter eye health problems. “With winter weather, people really feel the effects of dry eye because heaters can intensify the problem. Further, cold air holds less humidity,” said Bala Ambati M.D., an ophthalmologist at the John A. Moran Eye Center at the University of Utah. Dr. Ambati recommends a humidifier in your bedroom or on your furnace to help, however the most important thing you can do is visit an eye doctor if you experience symptoms. “Your doctor may have you take artificial tears or gels, recommend nutritional supplements, such as flaxseed oil or fish oil, prescribe medication, insert plugs into your eyelids or recommend certain in-office procedures in some cases,” Dr. Ambati said. Dr. Lorne Bellan, head of the department of ophthalmology at the University of Manitoba and president of the Canadian Ophthalmological Society, said the sun’s reflection on ice or snow can damage the eye’s surface by exposing it to ultraviolet (UV) light. This exposure can cause inflammation of the cornea called keratitis, which makes the eyes red, sore and sensitive to light. Inflamed eyes and two much exposure to UV light can play a key role in cataracts forming in the eye, according to Best Health. Dr. Bellan recommends wearing sunglasses to shield your eyes from UV light. Your best option is to purchase sunglasses with a minimum UV 400 protection because they block both UVA and UVB light. If you plan on skiing, opt for goggles with polycarbonate lenses that also block UV light. Because cataracts are the result of cumulative damage to the eye, it is very important to have the entire family wear sunglasses, even children. Most of us can remember, at one time or another, our parents saying, “If you sit too close to the TV, you’ll ruin your eyes.” However, according to a 20-year study that tracked the vision of thousands of children, sitting too close to the television cannot predict nearsightedness. What can predict the risk? A child’s refractive error is how you can find out if your child will become nearsighted. As early as age 6, a child’s refractive error, or the measurements used to prescribe eyeglasses, is the best indicator for nearsightedness. Usually nearsighted problems begin to appear around ages 8 and 12, and one-third of adults are nearsighted, according to a National Public Radio article. Karla Zadnik, lead author of the 20-year study and dean of the College of Optometry at Ohio State University, recommends more than just an eye chart to accurately measure a child’s vision. “Just measuring how well they can read the chart won’t capture that key piece of information,” she said. Zadnik’s study, which begain in California in 1989, grew to include more than 5,000 ethnically diverse children throughout the United States. The study measured the children’s eyes regularly while also quizzing the parents on health and habits, according to NPR. The study found having nearsighted parents did increase the risk for nearsightedness, but it was not as strong as an indicator as refractive error. Children in first grade whose refractive error was less than +0.75 diopters (meaning slightly farsighted) were most likely to be nearsighted in the future. As children get older, that number continues to drop. If a child in sixth grade has no refractive error, he or she would be at risk. Nearsightedness is defined as having a refractive error of -0.75 diopters or more, according to NPR. While there is not a way to prevent nearsightedness, finding out your child’s risk could help prevent vision problems in school, such as squinting or straining to see the board. So, how do optometrists and ophthalmologists measure refractive error? They change lenses in front of patients’ eyes and ask, “Which one is better, 1 or 2?” Jody Myers Eye Equipment specializes in buying and selling the equipment to perform refractive error tests, such as the Marco Nidek ARK-1s that measure objective spherical, cylindrical refractive errors and the cylinder axis that measures from the refractive status of the patient’s eye. Central Florida leads the state in job gains with the help of the Orlando-Kissimmee-Sanford metropolitan statistical area’s 41,400 new nonagricultural jobs in September. Central Florida’s unemployment rate dropped from 5.9 pe rcent to 4.9 percent in September, according to CareerSource Central Florida. The region consisted of 61,646 unemployed residents in its 1,260,068-resident labor force. According to CareerSource, the industry that gained the most jobs was leisure and hospitality with 14,700 jobs, while the education and health services industry gaining 2,600 jobs. The largest nonprofit health care system in Tampa Bay plans to purchase Bartow Regional Medical Center. BayCare Health System Inc. will also gain physician clinics and outpatient care facilities with the acquisition. This buy signals BayCare’s growing presence in Polk County. “A seco nd BayCare hospital in Polk County will help anchor other health services needed by this large and growing county, while forming the broader geographic footprint needed for future health care models like population health,” said Glenn Waters, BayCare executive vice president and hospital division president. Winter Haven Hospital was purchased in August 2013 by BayCare, according to Tampa Bay Business Journal. These purchases reflect national consolidation trends in which hospitals and systems, through volume purchases and back-office functions sharing, attempt to capitalize on cost efficiencies. Population health management looks at patient populations as a whole to identify trends and target underserved or needy segments of patients, according to HealthIT Analytics. Offering affordability, convenience and most importantly accuracy, autorefractors get a smart option with Smart Vision Labs’ SVOne, a smartphone-based autorefractor, according to Ophthalmology Management. The SVOne weighs just 0.9 pounds and attaches to an iPhone 5s to provide a wavefront map of the eye using the phone’s camera. The SVOne can take about five readings of the eye that take about five seconds to process, according to Bernie Spier M.D., F.A.A.O. Dr. Spier uses the SVOne on his trips to the West Indies to perform voluntary cataract surgeries. The readings from the device produce refraction results that measured vision imperfections. This data can also sync to a cloud that makes it easier to access the information on a larger screen. Purchase of the SVOne includes an unlo cked iPhone 5s with preinstalled software. There is no need for any app downloads, although a set-up process is required. But aside from convenience and affordability, how does it measure up against standard autorefractors? A study done by Smart Vision Labs examined twenty volunteers that were tested using three exams: the SVOne, a standard autorefractor and subjective refraction. The study showed similar results with the SVOne and standard refractors. There are approximately 285 million people in the world with vision impairment, according to a National Public Radio article. Of those 285 million individuals, 80 percent live in low-income countries. Now, there are smartphone vision tests capable of providing vision-saving tests and treatments. Andrew Bastawrous, a British ophthalmologist and creator of the app Peek, believes providing more access to affordable eye exams can save a person’s vision while raising awareness of eye conditions as well. “If we can create a freely downloadable app with high-quality results, it means that hopefully more people with vision problems can be identified, particularly the most vulnerable groups,” he said. Most vision tests follow one of two standard ways. One way is the traditional letter chart that contains smaller and smaller letters as the individual reads down the chart. The other way, which is noted as more accurate, features an electronically powered box that illuminates letters of different sizes. However, the Peek’s vision test works differently. The smartphone’s screen displays the letter E, and the patient identifies the direction the letter is facing. Standing six feet away, the test-giver swipes the phone’s screen in the direction the patient believes the letter is facing. When a patient sees the letter as blurry, the test-giver can just shake the phone to indicate the “do not know” response. After approximately one minute, the phone vibrates and dings to indicate the end of the exam. The almost immediate results can be translated into the 20/20 scale and can also compare the patient’s level of blurriness to normal vision. Because of the app’s simplicity, an individual does not have to be a health care employee to administer this exam. But, how does the app perform in comparison to the other two traditional exam methods? Two hundred thirty-three Kenyans 55 or older participated in a study to evaluate the app. Published in the Journal of the American Medical Association Ophthalmology, the study showed the Peek app exam was as accurate as the other two exams as far as testing vision, according to NPR. Peek’s exam was as quick if not quicker than the paper chart, Bastawrous said.